A FREE 40-minute program of international short films curated especially for young people. Following the screening, Rishma Malik of Rishma Yoga will lead a youth yoga session. Please remember to bring your mats! An experimental animated choreography with autumn leaves. Get ready to dance! We follow a group of dedicated conservationists around the Western Cape, South Africa, as they fight to keep the African penguin from extinction. A short film about the miraculous genesis of animal life. In great microscope detail, we see the “making of” an Alpine Newt in its transparent egg from the first cell division to hatching. 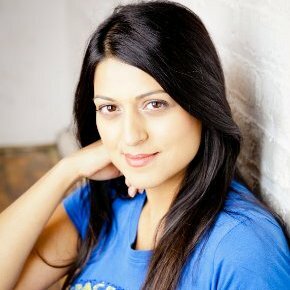 Toronto based Yoga Instructor Rishma Malik (E-RYT 1000 & E-RCYT), has been living, breathing and teaching Yoga for over 10 years. Rishma is a senior-level Yoga Instructor registered with the Yoga Alliance. She is trained in the Himalayan Yoga tradition and received her formal 1000-hour Yoga Master certification at Sananda Devi Yoga in 2004. She is also a registered kids yoga teacher with the Yoga Alliance and holds 200-hour certification in kids yoga (E-RYCT), followed by yoga therapy and pre-natal certifications under the direction of many accomplished yoga teachers. Rishma is known for her specificity and innovation in constructing programs for healing and breakthroughs for Actors, Producers, CEO’s, corporations, film-sets, working parents, families, kids with special needs, kids with confidence issues, adhd and autism.